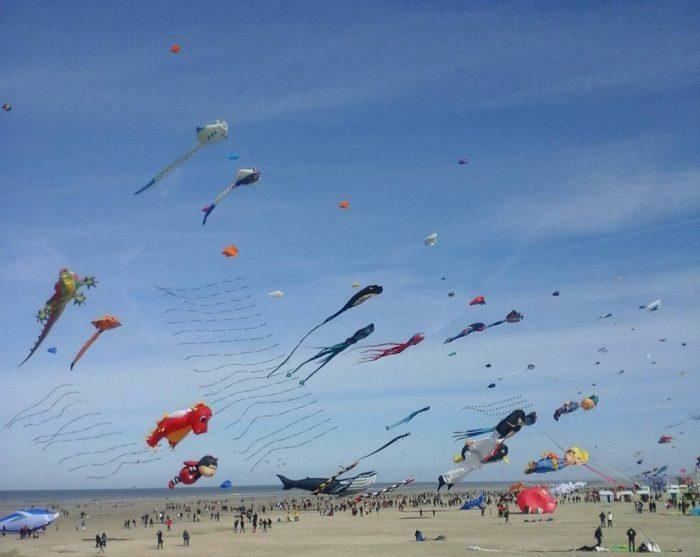 The International Kite Festival (RICV) takes place every spring on the beach at Berck-sur-Mer, situated on the pretty Côte d’Opale. Ten days long and free to attend, the festival has been a proud Nord tradition for over 25 years and is attended by nearly 700,000 people. This enthralling display of original giant kites is sure to delight ocean-lovers, fitness enthusiasts and thrill-seekers alike. There’s something to entertain every age group, with workshops on how to build and fly kites and a flight school to help you finesse your technique. 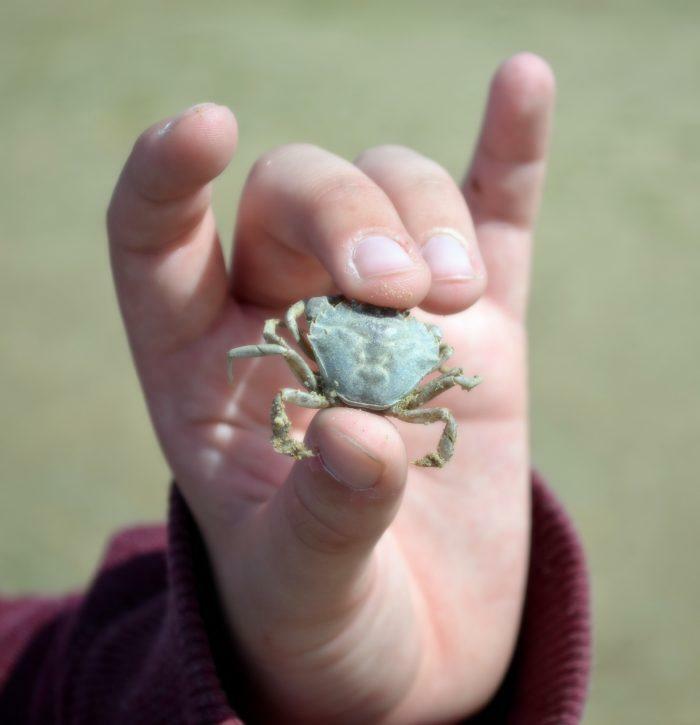 Interactive sessions also provide opportunities for little ones to learn about marine life. From breathtaking sky battles between Japanese rokkakus (traditional fighting kites) to wandering through the quirky ​‘wind garden’ of whirligigs and windmill toys, the scope of entertainment at the kite festival is huge. The kites come in a whole menagerie of shapes and sizes, from dragons, tropical fish and insects to cartoon characters and even celebrities. Some of these kites are up to an enormous 30 metres in length. Professional kite-flyers compete with one another in impressive demonstrations of skill and daring. Pick a cosy perch in the sand and watch. Worked up an appetite with all that kite-flying? Not a problem – the beach’s esplanade features a wide variety of stalls and tents selling excellent local and artisanal delights. Sample the Flemish flavours of the region here, or visit one of the charming brasseries or cafes in town for warming stew or seafood. Finish off the festival by attending the final night, celebrated with an impressive nocturnal flying display and a dazzling firework show. If you want to keep the festival spirit alive, why not try kite surfing? The beaches of the region stretch on for miles, with deeply receding tides, fine sand and strong winds, making them the ideal setting for this adventurous sport. Many beaches have water sports centres and surfing schools – head there for tidal and weather advice and to book lessons. The Jean Binard Water Centre at Gravelines, Kitessentiel in Dunkirk and Wimkite School at Wimereux are all good options. Northern France has a great deal of things to see and do. The rugged, bleak beauty of the region’s other beaches shouldn’t be overlooked – the rolling sand dunes and endless horizons offer picture-perfect spots. Platier d’Oye beach is a top pick for bird-watching while spying the ferries sail in and out of the Calais harbour. Wimereux is one of the most well-preserved and picturesque coastal towns of the region, with quaint blue-and-white beach huts and a riot of colourful pastel villas. For a bit of fun, visit l’Aqualud seafront waterpark in Le Touquet. It features over 2km of thrilling slides, with numerous indoor and outdoor pools. Cosy and quaint, eateries in the region are brimming with northern Gallic charm and style. From mussels and chips to beer-based stews, the local dishes will warm you up and fill your belly no matter how chilly it is outside. 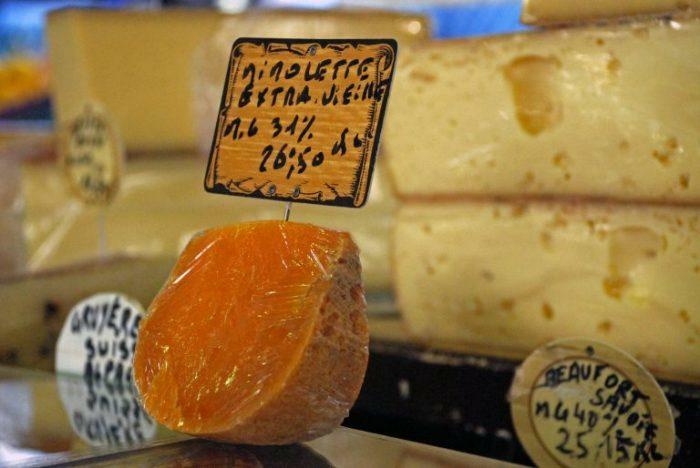 Regional cheeses you just have to try include maroilles and mimolette vieille. Flemish dishes such as waterzooï (freshwater fish stew) and potjevleesch (a one-pot dish of meat and vegetables) give a real taste of the landscape and history of Nord. Round off your trip in a traditional estaminet (tavern) with a round of blond beers.